Recently, my patients have been inquiring about some of the latest facial cosmetic procedures they have seen advertised in magazines and on the internet. Some of these new procedures are often promoted as alternatives to the traditional facelift that offer many of the same advantages, but with the added benefits of requiring only local anesthesia, a lower cost, and a faster recovery. However, the process a plastic surgeon uses to perform these less invasive procedures differs dramatically from a traditional facelift — and, consequently, so may the results. While some of these new procedures are considered “lighter” surgeries that do not penetrate as deeply into the facial tissue, these “minimally invasive” techniques are precisely why I feel they are not as effective as a traditional facelift surgery. The thing is, if a patient seeks to reduce the appearance of the jowls and address issues of laxity in the neck and lower face, I believe a traditional facelift by a skilled plastic surgeon is the only way to reach deeper tissues, and thus produce a tightened, smoother appearance. Though some of these new trends in facial surgery may cost less and have a faster recovery time, if the procedure is not capable of delivering the aesthetic results a patient is setting out to achieve, the “benefits” they claim to offer may ultimately mean very little. To truly rejuvenate the face and neck, I believe there is no substitute for a facelift. 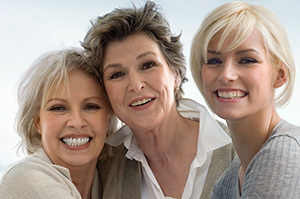 In addition, with the new techniques and technology available for the procedure, recovery from a traditional facelift procedure is faster than ever before. To learn more about facial rejuvenation, or to schedule a consultation with Dr. Semira Bayati, please contact our office today.